As a small business owner, you’re the master of all departments… you’re the bookkeeper, the operations manager, the customer service manager and the marketing manager, and that’s just the start. 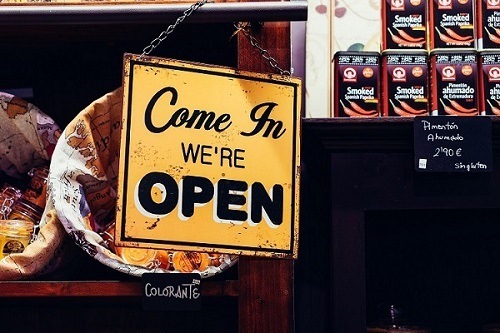 You probably first started a business because you’ve had a great idea but most small business owners don’t have any experience in running a business. Funds are always tight and resources are in short supply. We tend to do as much of the work as possible to save money. But the start of the year is a great time to look at your staff, your skill set and where the gaps are. Yes, it’s always hard to find the time to train, but in the long run it’s an investment opportunity you don’t want to miss. This is the big one. Do you have one? Is it up to date? If you answered no to either of these, you might want to make this your priority. They say “If you fail to plan, you plan to fail” and with 60% of small businesses failing in the first three years of operation, it’s easy to see why this is an important area. It’s important to look at what you need today, but it’s crucial not to lose sight of your long term business needs (this is where you pull out your business plan). Who will lead it, what tools will you need and what skills will keep you one step ahead? Working out the skills that your business will need going forward is essential for future-proofing your organisation. ‘I haven’t got time’ may be the cry you hear each time you think of training staff. But if you provide flexible options, your staff will be happy to participate, especially if there’s qualifications on offer that they can whack on their resumes. Make it easy with online training or workshops within business hours so they are willing to join in. Without marketing, you’re not going to sell any of your products and services. Downside, it can also be one of the most expensive parts of your business. Yes, you need to spend money to make money. There are some areas that you can manage yourself, like your social media or email marketing, but be willing to outsource things are not your forte. Fitting in training for yourself may feel like a luxury, but you’re the most important person to consider. When you expand your knowledge, you can make better decisions. The time will come one day when you need to outsource or employ someone, and because you’ve up-skilled you’ll be better at running your business and will be able to oversee more efficiency. As your business continues to evolve, so too do the ways you need to work and the reality of this can mean constant up-skilling — formal and informal — to ensure your business is successful in the long term. Need more info? Read about how a qualification in small business management or marketing can help your small business thrive.